It has been a wonderful couple of days and nights here in Iowa, mostly because the temperature has dropped to a cooling 68 degrees during the day and lower 50s at night. That means the windows are wide open with a cool breeze, and I can my tomatoes and cucumbers away in peace! Actually, I am saddened to say that my tomatoes are just about done producing. We have a lot of green fruit growing, but I have a feeling that it is going to stay on the small side and possibly go rotten more quickly than before. I suppose it's just that time, and we have had a very mild summer with only a few scorching and humid days, so that might have something to do with it as well. I do, however, have a ton of basil growing in my garden. I planted excessive amounts - about six plants in amongst my tomatoes and an entire row of them in one of my raised beds that had some extra space. Let me tell you, I've never had to deal with so much basil in my life and figuring out what to do with it has been rather interesting and fun to say the least. 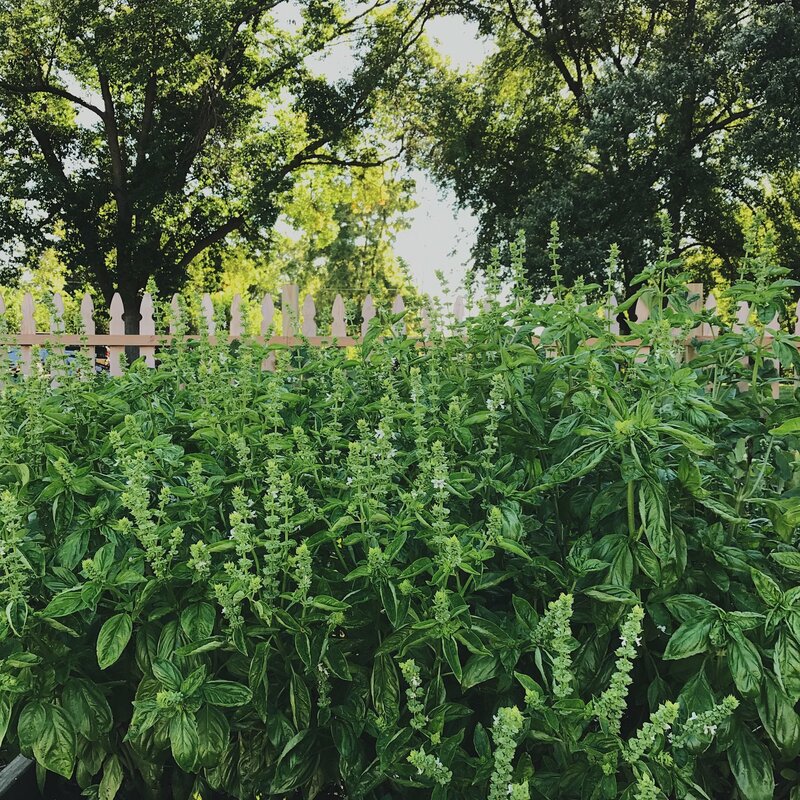 Let me tell you, I've never had to deal with so much basil in my life and figuring out what to do with it has been rather interesting and fun to say the least. Of course, after sharing my basil growth on the good ol' social media, everyone told me to make freezer pesto! 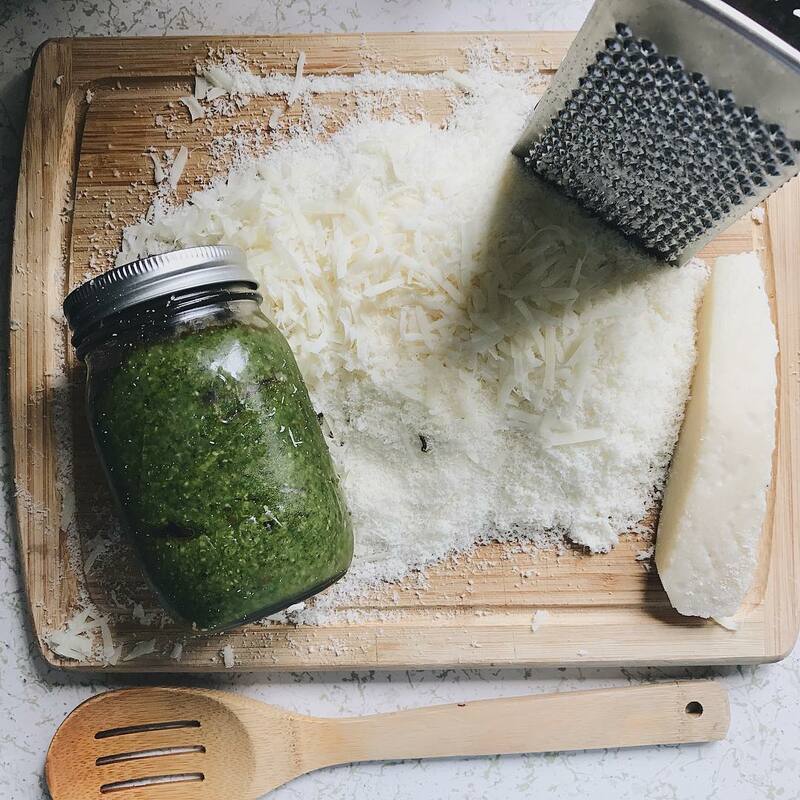 I hadn't really tried making pesto before, and I often strayed away from it while dining at restaurants. It is now that I will fully admit that I was a dummy, because after making a few rounds of pesto and figuring out a personal recipe that I could get around, I am a complete pesto fanatic. Wow! It's yummy. On pasta? YUM! Get rid of the red stuff and give me all the green. Actually, I discovered that mixing the two sauces together makes something really delicious. I had leftovers that needed to be used and just mixed everything together in the skillet with some Romano cheese. You need to try that right now! Cook your noodles. While they boil, heat your sauce (pesto, marinara, etc) in a skillet on low heat. When the noodles are ready, dump them into the skillet with the sauce and toss until coated. Let the noodles sit for a few minutes and soak up the sauce. Stir in any cheese or extra seasonings. Serve! It was AMAZING. Like a restaurant's dish. I will never go back to lazily dumping my marinara over the noodles again! And seriously, please try my pesto/marinara mixture next time. It was such a delicious treat. I use Food In Jars' marinara recipe from her book of the same title. I have about 20 cans of it sitting on my bookshelf right now. Ha! Hope you enjoy this recipe and have found a way to save all of your basil for winter!! 1. This is the best part: add all items, except for the olive oil, to a food processor or blender. Begin to pulse the ingredients while you slowly pour in the olive oil. Pulse until it comes into a paste-like consistency. Done! 2. Store in an airtight container in the fridge for up to one week, or freeze in either a glass jar or plastic freezer bag for 6 months. If using a glass jar, make sure you only fill to the freezer line as frozen items expand.